Terrorists planted a bomb on a Tel Aviv bus today. 21 people were injured in the blast. 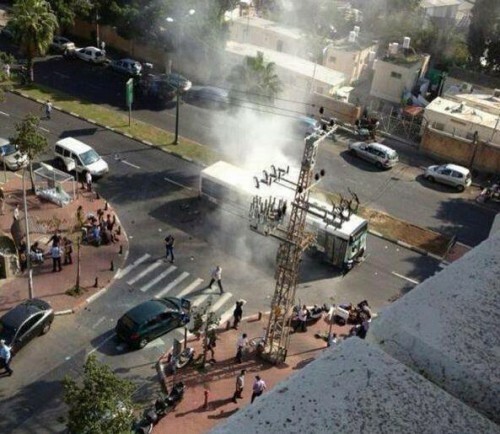 Terrorists detonated an explosive device on a public bus on Tel Aviv’s Shaul Hamelech Street around noon Wednesday. A total of 21 people were injured the attack. One person was severely injured, one moderately and one light to moderately, according to a spokesperson from the city’s Ichilov Hospital. The remainder of the casualties were lightly injured or suffering shock. Of the 21 victims brought to the hospital, the two most seriously wounded are teenagers, head of emergency medicine Prof. Halperin said, although he noted that none of them had life-threatening injuries. Of the 21, three remain in surgery and six have already been released. The remainder were lightly wounded. 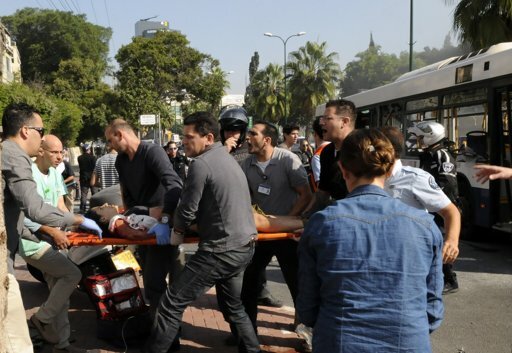 Here’s a photo from Tel Aviv after the blast.